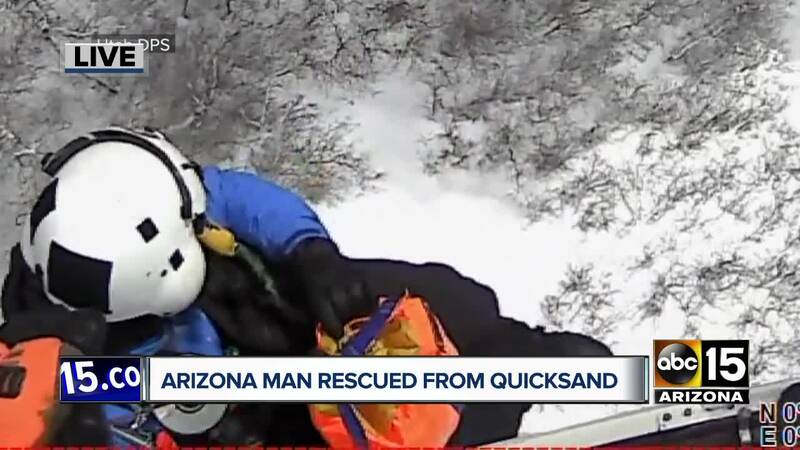 ZION NATIONAL PARK, UTAH — Rescue crews spent hours rescuing an Arizona man stuck in quicksand at Zion National Park over Presidents Day weekend. 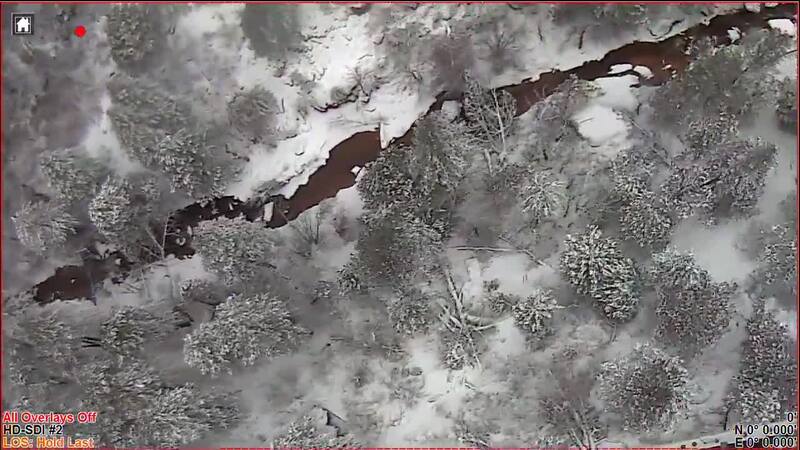 According to park officials, the 34-year-old Arizona man was on the Left Fork of the North Creek on Saturday when he stepped in quicksand. The man, later identified as Ryan Osmun, was reportedly stuck in knee-deep sand and was unable to free himself. 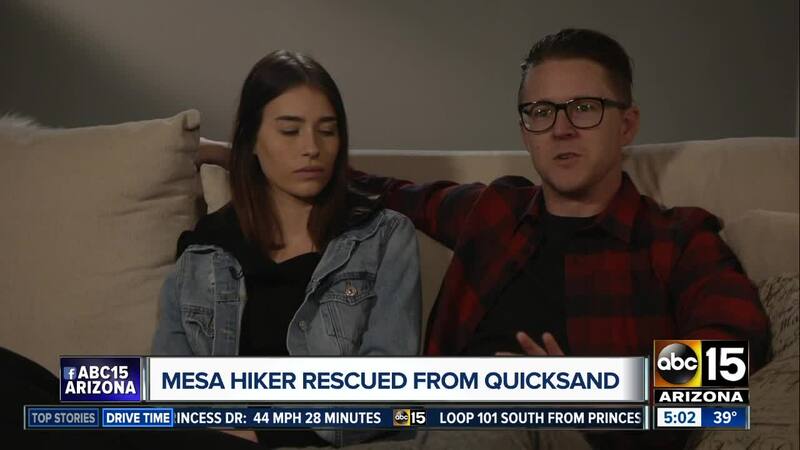 “I tried digging and that wasn’t working, obviously -- and we did try a couple sticks to try and…put a space between the sand and his leg and we couldn’t do it,” Osmun’s girlfriend, Jessika McNeill, said. McNeill left warm clothes for her trapped boyfriend and hiked three hours to get cell phone service to call for help. A search-and-rescue team eventually found McNeill, who was showing signs of hypothermia and had even fainted on her journey for help. Then, they located the man in the middle of the creek. “Seeing his flashlight, knowing it was real and then getting out of that was just one of the best feelings of my life. I knew I wasn’t gonna die,” Osmun said. “When he walked up, he said, ‘I’ll be honest with you, you should be dead or unconscious right now,’” Osmun said of the rescue crew member. They spent two hours freeing him, and he was suffering from exposure, hypothermia and other injuries. Rangers reportedly spent the night with Osmun and endured freezing weather and several inches of snowfall. A helicopter from Salt Lake City launched during a break in weather on Sunday afternoon to bring Osmun to safety. Officials say Presidents Day weekend is normally a popular hiking time with dry, warm weather, but this year is cold and wet. They're urging hikers to use caution.